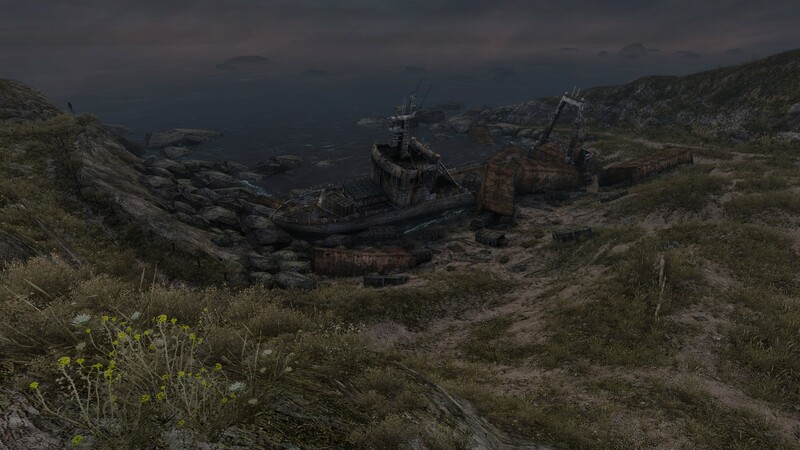 I have just completed Dear Esther. According to Steam, it took 95 minutes, and I very much doubt that I will ever play it again. I heard about Dear Esther when it first came out as a Source engine mod, but I didn’t play it. I don’t know why; as I recall, I even downloaded it, but then I got sidetracked. The version now available on Steam is a standalone version of the original mod, and it’s undergone a complete overhaul. I don’t want to spoil it, so I won’t say much about the content, although honestly, this seems like an experience that is not easily spoiled. Here are the basics: you’re on an island, and you explore it along a fairly linear path, and every once in a while a narrator pipes up. This is a fairly accurate description of the experience — as far as player actions go, I’m not really leaving anything out. Some of the material seems to be internal monologue, other parts are fragments of letters to the eponymous Esther. Car crashes and drunk driving are referenced and alluded to on a regular basis, but there are also stories about some other characters. Some of the narrations are triggered at specific spots, but most of them pop up in random order, and I suspect that to hear all of them, you would have to play through the game several times. Sometimes it takes quite a while for something new to be triggered, but the writing by Dan Pinchbeck is consistently articulate and evocative. It’s a kind of a ghost story, really; it’s just that you’re the ghost, and the only person there to be haunted is the player. The narrator, Nigel Carrington, does a great job. Besides the excellent narration, the audio design is solid, if not quite spectacular, but the soundtrack by Jessica Curry is beautiful and occasionally disturbing in all the right ways. Graphically, it’s a treat. Re-designed completely since the original version by Robert Briscoe (whose previous work includes Mirror’s Edge, a game with a look that was essentially the complete opposite of this one, but still one of my favorites). I like the way Source games look in general, and the engine is used to great effect here. 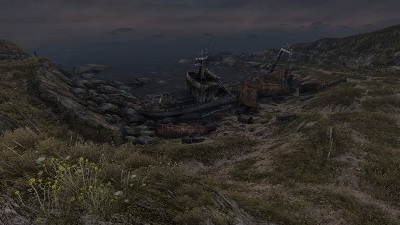 I guess these are not the most advanced graphics you’ve ever seen, but the design is absolutely perfect; almost all of the game takes place in natural settings, and Dear Esther nails perfectly a certain kind of beautiful desolation you can find on certain islands that I absolutely love in real life. There are cave sections that are breathtakingly beautiful, and there’s a wealth of detail, much of which is either related to what we learn about the island or about the narrator’s personal situation, with a little bit of Biblical stuff thrown in for good measure. 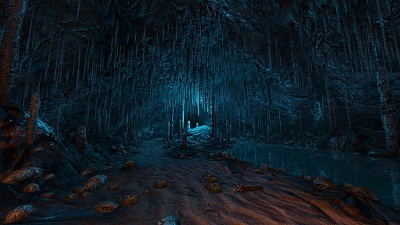 There’s been debate about whether Dear Esther qualifies as a game — the only thing you can do is move around, really; there are no puzzles to solve, no things to do, certainly no combat. That debate is remarkably uninteresting to me — to be brutally honest, I think people who feel the need either define Dear Esther in very specific terms, or people who feel their conception of games threatened by Dear Esther, may not be particularly used to dealing with art in general. That said, it could be argued (and has been argued) that there’s not enough to do in the game, that it’s not interactive enough, and that’s not an unreasonble point to make… but I think what the game does well is easily fascinacting enough to carry the experience. In any case, it’s not a long game (95 minutes for me), and I think that’s its strength; it’s about the length of a movie, and it doesn’t last long enough to grow stale. I’m fairly sure there’d still be more content for me to experience, but as I said, I don’t think I’ll ever play this again. 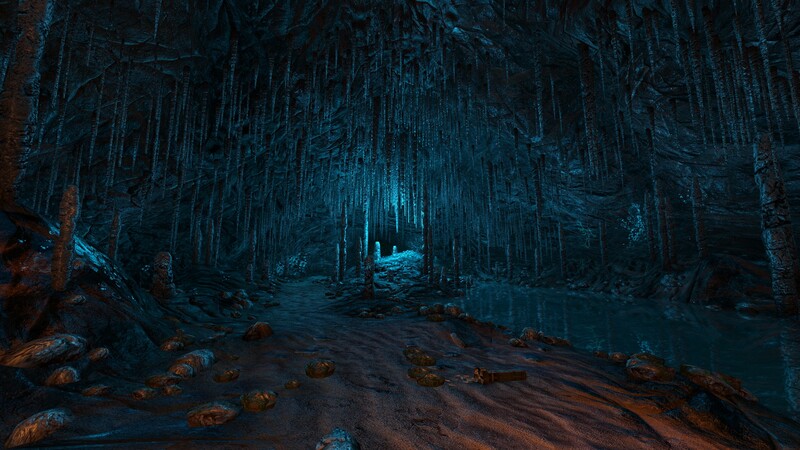 I enjoyed Dear Esther immensely, but I suspect that returning to it would just dilute it. My only real gripe with the game is that I experienced a bit of motion sickness playing it, which I believe is the first time I’ve ever experienced that with an FPS title, and hope won’t become a habit. I think we’re really in the middle of a Renaissance of indie games that give us amazingly creative, stylish and innovative games that make a conscious attempt to push artistic and narrative boundaries in their own ways — Limbo and Bastion come to mind, and hell, Minecraft probably qualifies, too. Dear Esther definitely does, and I think everybody who’s interested in genuinely engaging attempts to do something new and cool should give it a try. In other words, just calling something a game does not a game make, and when you argue that “anything that the artist says is art, is art” the whole word loses it’s meaning and without commonly shared words communication becomes impossible. As for this particular debate about whether Dear Esther qualifies as a game, I am still entirely uninterested in it. I don’t think there’s anything in that for me. Toivomuskonsertti alkaa heti, kun isket tarpeeksi rahaa tiskiin. Siihen asti sun pitää tyytyä siihen, mitä tuutista sattuu tulemaan. Kurjempi juttu. No niin. Tulihan sitä tekstiä sieltä. Nyt vain jatkat samalla radalla.